Laid low by a nasty neurological illness, compounded by spinal problems, the lingering after effects of which he still suffers, Simon’s musical tale is a defining one of triumph over adversity. He was incapacitated to such an extent that his first album was recorded with Simon mostly in the prone position. That album was Clocks And Dark Clouds, and you can read more about that HERE. Thankfully Simon recovered sufficiently to make his next album, 2014’s Newton’s Alchemy in more normal circumstances, and that continues with this, his third and most accomplished work to date. I often lay waste to “bedroom albums that should have stayed there”, but I’ll make an exception in this case as From My Head To My Feet should be at the very least allowed down the stairs and out the front door. The overly-digital sound in some places is a tad harsh on the ears and occasional instances of the restrictions of the recording software stick in the mind, especially the horribly naff keyboard run one and a half minutes into Year Of Light that sounds like an ancient ringtone on a 1990s cordless phone. That aside, it is obvious that Simon possesses great skill as a musician, composer and arranger, using all the obvious prog tropes with some panache and no little originality, effortlessly crafting epics in the traditional sense. 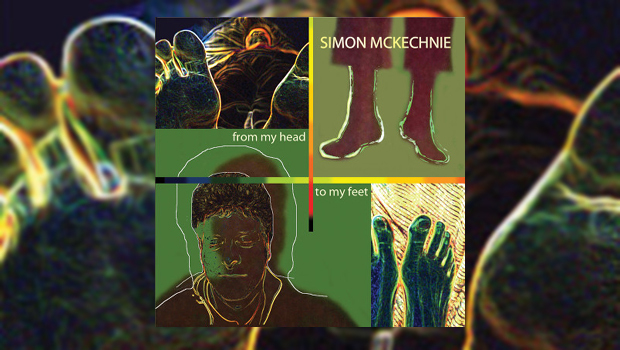 Whereas Simon’s previous albums have been heady conceptual works on the subjects of alchemy and the nature of time, this one has no particular theme, covering subjects ranging from surprising inscriptions on the tomb of a Pharaoh to England’s last witch trial, even stretching to setting a poem that Percy Bysshe Shelly wrote for Mary Shelley’s play Midas to some suitably eclectic music. That latter example is the opening track Hymn To Apollo which serves as a pointer for the rest of the album, combining Simon’s multi-instrumentality with that which seems to be a highly complex arrangement to these untrained ears, pulling up well short of being merely a dry academic exercise, sometimes the fate of deliberately complex prog. A nice addition to the musical palette is the saxophone and clarinet of Richard Exall, who has played with everyone from the London Symphony Orchestra to Martha Reeves, via William Orbit! Adding his drums and thereby pinning down Simon’s urge to compose in strange pointy time signatures is Adam Riley, who does a sterling job keeping time without any unnecessary showing off. Adam has now played on all three of Simon’s albums, so when the musical polymath announces that “the title track is the funkiest song in 15/8 time that you’re likely to hear this year”, he would not have been at all phased! The track From My Head To My Feet also includes a couple of short but slinky sax breaks from Richard, whose occasional appearances give the sound a fully rounded and organic form. As for Simon’s quote, he’s dead right, this song will surely turn your kneecaps round. Stringed instruments of varying kinds are where Simon’s toppermost musical skill lies and there are several examples on the record to keep any enthusiast of those sounds on their toes. Simon also adds keyboards largely as colouration, and of course synth effects are another layer in the cake. He can sing too, another thing that sets him apart from many other prog band tonsil botherers I wish wouldn’t. He’s no Caruso, but Simon has a fairly distinctive voice that adds character to this enjoyable album. This is most definitely “prog” in the modern sense, not something I usually get on with, but this beastie keeps the influences under wraps by sheer compositional force. Yes, you can spot a Genesis reference here, a Gentle Giant reference there, but the tropes never become the guiding force, they are merely fleeting points of reference on a map charting Simon’s individualistic musical journey. Simon’s cause is not helped by having little or no profile out there in webland. It appears that he did post some of the songs from this album up on YouTube, but these have now all been taken down. There is no Bandcamp or Soundcloud page either. Oh well, I suppose that’s how he likes it. In the meantime if you head over to his webpage and click the tab relevant to From My Head To My Feet you will find samples of these tracks. Simon McKechnie – Everything Else!